Canada has some of the best national parks in the world. The country is scattered with tall mountain peaks, glacial lakes and valleys, mountain streams, rugged coastlines, islands, not to mention the biggest lake in the world. 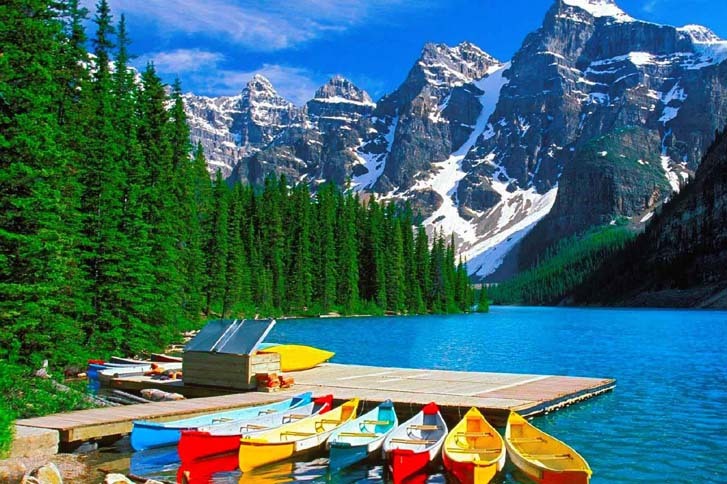 There are 44 national parks and national park reserves in Canada. Each park has a unique attraction, representing the varied landscapes of Canada and protects the natural environments and natural heritage. There are plenty of outdoor recreation and camping opportunities in Canada’s parks. But, the About Camping readers nominated their favorite Canadian National Parks and five stood out from the rest. 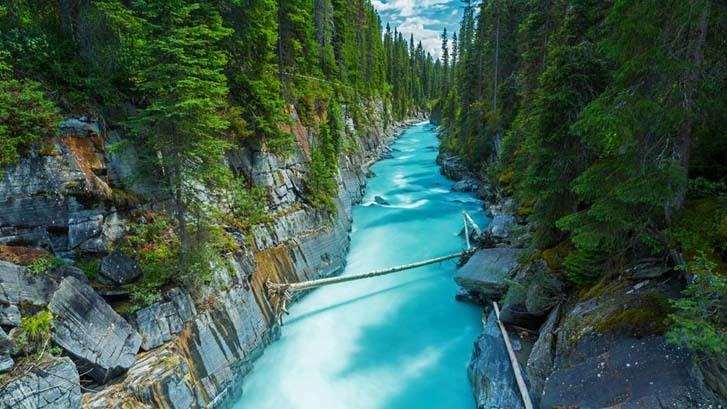 Known for it’s glacial carved valleys, ice fields, tall mountain peaks, and hot springs, Banff National Park is located in Canada’s Rocky Mountains in Western Alberta. Banff is the oldest national park in Canada and was established in 1885. The park is bordered to the south by Kootenay National Park in British Columbia and to the north by Jasper National Park. The townships of Banff and Lake Louise are popular tourist destinations and jumping off points for exploring the wilderness. There are more than 1,500 kilometers of hiking trails for backcountry travellers to explore in Banff National Park. Backpacking is popular and huts, campsites and shelters are available for backcountry camping. To plan a safe and enjoyable wilderness trip in Banff, check Parks Canada’s website for trip planning information. Georgian Bay Islands National Park is comprised of 63 islands surrounded by the turquoise blue water of Lake Huron in Ontario. The park is noted for its diverse wildlife, flora and fauna and glaciation and the Canadian Shield also contribute to the islands diversity. With 33 species, more types of amphibians live in the national park than anywhere else in Canada. On one island you might find Shield rock with lichens, pines, junipers and red oak, and on another island you’ll see thick hardwood forests and a variety of orchids, or a forest carpeted with white trilliums. The Georgian Bay Islands are only accessible by boat, canoe, kayak or water taxi. Beausoleil Island, the largest in the national park, has nine campgrounds with a total of 120 campsites and 10 rustic cabins. Georgian bay Islands National park even offers equipped campsites for those who want to camp, but don’t have the gear. With its glaciated peaks of the south western Canadian Rocky Mountains and grasslands of the lower valleys, Kooetnay National Park is home to a diverse landscape. The park is located on the west slope of the Continental divide in British Columbia and bordered to the north by Banff National Park. Though Kooetnay is known for its stunning natural landscapes and wildlife, the park is also home to 97 archaeological sites, one National Historic site, one federal heritage building and many historic artifacts and cultural features. The park is home to a range of wildlife including badgers, grizzly and black bears, and Canada lynx. Rocky Mountain bighorn sheep live in the south end of the park near Radium Hot Springs. Among points of interest in Kootenay National Park are the hot pools at Radium Hot Springs, Numa Falls and Marble Canyon. Campgrounds are open mid-May to mid-October in Kootenay National Park. There are four campgrounds with more than 300 campsites with varying amenities. Backcountry camping is available and campsites can be reserved. Visit Parks Canada’s website for more travel, recreation and camping information. 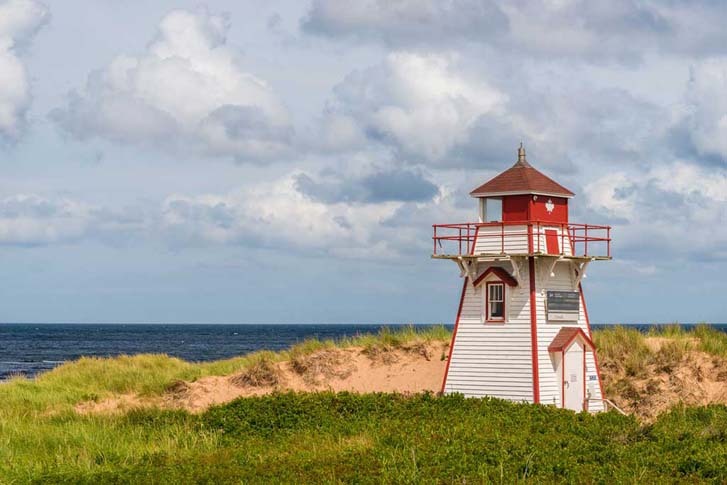 Situated on the north shore of Prince Edward Island (PEI) in the Gulf of Saint Lawrence, Prince Edward Island National Park is home to sand dunes, barrier islands, beaches, sandstone cliffs, wetlands and forests. The park was established in 1937 and was extended in 1998 to preserve and protect Greenwich, the fragile sand dune system. The park is home to 300 species of birds including the Piping Plover, a species at risk of being endangered. Plenty of outdoor recreation opportunities are available at PEI National Park. Visitors enjoy hiking, bird watching, beach combing and camping. There are three campgrounds available for camping at PEI National Park. Each campground is located near beaches and hiking trails and ranger led interpretive programs are available. Visit Parks Canada’s website for more information about visiting Prince Edward Island. Rugged cliffs, sheltered coves, boreal forests and the North Atlantic Ocean create a stunning landscape for Terra Nova National Park in Newfoundland and Labrador. The park is home to an abundant population of wildlife including the native and endangered Newfoundland marten. Terra Nova became the province’s first national park in 1957. 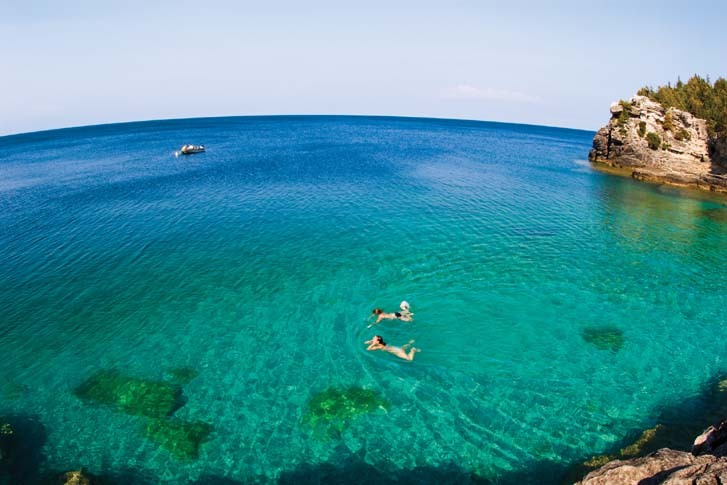 Today, outdoors enthusiasts from around the world visit for the stunning scenery and recreational options. Interpretive programs and ecological exhibits are available for summer visitors. 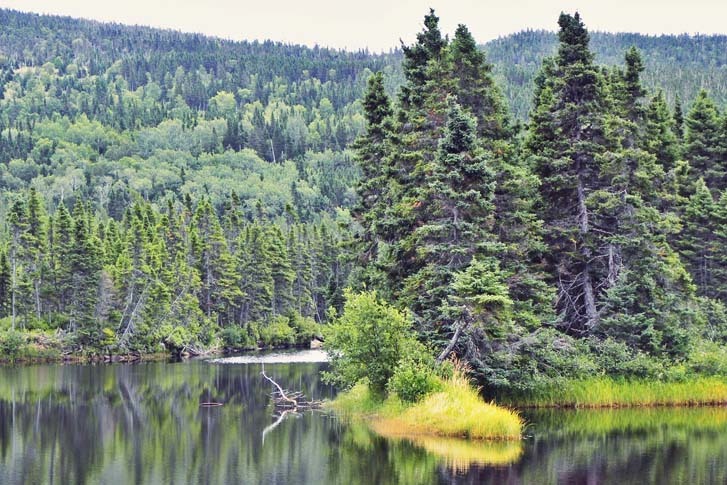 Two main campgrounds and primitive backcountry camping offer a variety of camping in Terra Nova National Park. Electrical sites are available and reservations for all camping options can be made online. For more travel and camping information visit, Parks Canada’s Terra Nova National Park website.